The mimp family of miniature inverted-repeat transposable elements was previously found only in genomes of Fusarium oxysporum and is contextually associated with virulence genes in this species. Through extensive comparative analysis of 83 F. oxysporum and 52 other Fusarium genomes, we uncovered the distribution of different mimp families throughout the genus. We show that (i) mimps are not exclusive to F. oxysporum; (ii) pathogenic isolates generally possess more mimps than non-pathogenic strains and (iii) two isolates of F. hostae and one F. proliferatum isolate display evidence for horizontal transfer of genetic material to or from F. oxysporum. Multiple instances of mimp elements identical to F. oxysporum mimps were encountered in the genomes of these isolates. Moreover, homologs of effector genes (SIX1, 2, 6, 7, 11 and FomAVR2) were discovered here, several with very high (97–100%) pairwise nucleotide sequence identity scores. These three strains were isolated from infected flower bulbs (Hyacinthus and Lilium spp.). Their ancestors may thus have lived in close proximity to pathogenic strains of F. oxysporum f. sp. hyacinthi and f. sp. lilii. The Fo f. sp. lycopersici SIX2 effector gene was found to be widely distributed (15/18 isolates) throughout the F. fujikuroi species complex, exhibiting a predominantly vertical inheritance pattern. These findings shed light on the potential evolutionary mechanism underlying plant-pathogenicity in Fusarium and show that interspecies horizontal gene transfer may have occurred. The online version of this article (doi: 10.1007/s00239-017-9801-0) contains supplementary material, which is available to authorized users. Transposable elements (TEs) are DNA sequences that can duplicate or move from one site to another within a genome. Two different TE classes are distinguished based on their transposition intermediate, RNA or DNA. Class I transposons (also called retrotransposons) transpose by transcription into an RNA intermediate and reverse transcription into cDNA before insertion into a new site. Class II TEs (or DNA transposons) on the other hand, transpose through a “cut-and-paste” mechanism. This latter class of TEs is flanked by Terminal Inverted Repeats (TIRs) that facilitate the recognition for DNA excision. Miniature inverted-repeat transposable elements (MITEs) are short [<500 base pairs (bp)] non-autonomous class II TEs (Bergemann et al. 2008). Their structure resembles defective DNA transposons and they are thought to originate through the deletion of the transposase open reading frame (ORF) between the TIRs (Feschotte and Pritham 2007). Several studies have shown that MITEs can be mobilized by full-length class II TEs (Feschotte et al. 2002; Dufresne et al. 2007; Bergemann et al. 2008). A MITE called mimp (for m iniature imp ala) has so far only been described in the filamentous fungus Fusarium oxysporum (Fo). Using different approaches, six families of mimps have been described in the reference genome F. oxysporum f. sp. lycopersici 4287, based on the consensus sequence of the inverted repeats (Bergemann et al. 2008). They are characterized by a uniformity in size of about 180–220 bp (Dufresne et al. 2007) and appear to have originated from full-length impala elements. The impala family of transposons belongs to the Tc1/mariner superfamily of class II transposons (Hua-Van et al. 2001a). This particular TE occurs at a low copy number in the genome of F. oxysporum. Although 1–5 copies were detected in most isolates and the TE has been described as an ancient component of the F. oxysporum genome (Hua-Van et al. 2001a), they have also been found to be absent in some isolates (Hua-Van et al. 2001b). Impala elements contain a single ORF encoding a transposase of 340 amino acids flanked by TIRs of 37 bp (Hua-Van et al. 2001a). They have been shown to be active in at least some strains of F. oxysporum (Hua-Van et al. 2001b). Interestingly, the transposase remains functional when transferred into the genome of closely related [F. moniliforme, F. culmorum, and F. graminearum (Hua-Van et al. 2001b; Dufresne et al. 2007; Spanu et al. 2012)] as well as more distantly related fungal species [Magnaporthe grisea, Aspergillus nidulans, A. fumigatus, Colletotrichum gloeosporioides, and Penicillium griseoroseum (Villalba et al. 2001; Hua-Van et al. 2002; de Queiroz and Daboussi 2003; Firon et al. 2003; Li Destri Nicosia et al. 2004)]. Reinsertion in the genome occurs at TA residues, which are duplicated upon insertion (Dufresne et al. 2007). Genomes of F. oxysporum strains are divided into two compartments. A set of conserved ‘core’ chromosomes is dedicated to housekeeping and vegetative growth, while one or several accessory chromosomes harbor high numbers of TEs and sometimes large segmental duplications. These accessory chromosomes are sometimes directly linked to virulence of the isolate due to the presence of virulence (effector) genes on these chromosomes (Ma et al. 2010). Moreover, they can be horizontally transferred from pathogenic to non-pathogenic strains, thereby conferring the host-specific pathogenicity upon the recipient strain (Ma et al. 2010). In the genome of Fo f. sp. lycopersici 4287, 95% of the class II TEs and the majority of mimps are present on the accessory chromosomes (Schmidt et al. 2013). Intriguingly, they were found to be significantly overrepresented in the promoter regions (<1500 bp) of known effector genes (named SIX, for S ecreted I n X ylem) and other genes that are expressed during plant infection (Schmidt et al. 2013). This association with virulence genes was used to predict novel candidate effectors in the genomes of Fo f. sp. lycopersici, Fo f. sp. melonis, Fo f. sp. cucumerinum, Fo f. sp. radicis-cucumerinum, and Fo f. sp. niveum (Schmidt et al. 2013, 2016; van Dam et al. 2016). The goal of the current study was to evaluate the distribution of different classes of mimps throughout the Fusarium genus based on published and novel whole genome sequences. We searched for mimp-like elements from the genomes of isolates belonging to six different Fusarium species complexes. We find that mimp elements are not exclusive to the F. oxysporum species complex. Moreover, we find that several SIX genes are present in non-oxysporum Fusarium strains that also have many mimps. Based on these results we explore the possibility of horizontal transfer of genetic material between Fusarium species. Based on the described inverted repeats in Bergemann et al. (2008), we extracted the sequences of mimps from all currently available Fusarium genome assemblies. These include 83 F. oxysporum genomes and 52 genomes from other Fusarium species (Supplemental Table S1). We used a consensus sequence generated from the first 16 nucleotides of TIRs of all six previously described mimp families to search for the presence of mimp-like elements in each of the genomes (‘AGT[GA][GA]G[GAT][TGC]GCAA[TAG]AA’). Stretches of sequence where an instance of this motif was found within 400 bp of another instance in reverse orientation were extracted. In total, 2688 mimps were identified. The vast majority (2572) of these were extracted from F. oxysporum genomes. On average, 31 intact mimps were found per F. oxysporum genome, with numbers ranging from zero in F. oxysporum f. sp. cubense N2 and two copies in F. oxysporum f. sp. cubense B2 to 74 in F. oxysporum f. sp. raphani PHW815. Other isolates where few mimps were encountered include F. oxysporum f. sp. nicotianae and non-plant pathogenic isolates such as MN14 (saprophytic strain isolated from tomato), FOSC3-a (a clinical isolate), and Fo47 (a biocontrol strain) (Supplemental Table S1). These latter three isolates were previously shown to possess relatively few candidate effector genes and also lack copies of SIX virulence genes (van Dam et al. 2016). The reason for the absence of a high number of mimps and putative virulence genes in these isolates may be attributed to a smaller amount of accessory material. Fusarium genome assemblies generated from short-read sequence data are typically assembled into hundreds or even thousands of contigs of 500 bp or larger. Especially repeat-rich regions such as the accessory chromosomes of F. oxysporum, where most of the mimps are typically located (Schmidt et al. 2013; Kang et al. 2014), are highly fragmented. As most of the genomes in our dataset were sequenced with Illumina short read technology, we wondered whether the number of mimps was underestimated. We therefore compared the number of mimps identified in the Illumina assemblies of two individual F. oxysporum isolates to their respective long-read assemblies that were generated from PacBio sequencing data (van Dam et al., accepted). A higher number of intact mimps was indeed identified in the PacBio assemblies of F. oxysporum f. sp. melonis 001 (60% more; 80/50) and F. oxysporum f. sp. radicis-cucumerinum 016 (65% more; 38/23) (Fig. 1). Although mimps have thus far only been described in the F. oxysporum species complex, we find that they are not exclusive to this species complex. The genomes of most other Fusarium species did show complete absence of mimps. However, occurrence of one or a few elements was identified in among others F. verticillioides, F. proliferatum, F. nygamai, and F. avenaceum (Fig. 2). Two previously sequenced and four de novo sequenced non-F. oxysporum genomes stood out in the analysis because they displayed a high number of mimps, similar to the numbers found in F. oxysporum. These Fusarium strains were all isolated from diseased bulb flowers that were affected by bulb rot or leaf and stem spot. F. proliferatum Fol3 (isolated from Lilium) was earlier identified as F. oxysporum (Baayen et al. 1998) but is now reclassified as F. proliferatum based on the concatenated sequence of the EF1alpha, RPB1 and (partial) RPB2 genes (Fig. 1). F. hostae isolates Hy9 and Hy14 were isolated from diseased Hyacinthus bulbs (Breeuwsma and De Boer 2004), F. agapanthi NRRL31653 and NRRL54464 were isolated from diseased Agapanthus plants (African lily) (Edwards et al. 2016) and Fusarium sp. Na10 was isolated from diseased Narcissus bulbs (Breeuwsma and De Boer 2004). To identify whether a potentially active intact impala was present in the genome, a TBLASTN search was performed using the full-length FOM24 impala transposase ORF as a query (Fig. 2). Many F. oxysporum isolates showed mutations of the transposase, inducing a premature stop codon in the ORF. However, several isolates such as Fo f. sp. conglutinans PHW808, Fo f. sp. melonis 009, and Fo47 still possess an intact transposase ORF. Intriguingly, the non-FOSC bulb-infecting isolates F. hostae Hy9 and Hy14 as well as F. proliferatum Fol3 also contain a largely intact transposase ORF, only interrupted by the end of the contig or by a stretch of ambiguous nucleotides (Ns) caused by contig scaffolding (Fig. 2). This means that an intact impala may be present in these isolates. Fusarium sp. Na10 and both F. agapanthi isolates did not return a significant hit. Based on reciprocal BLAST hits, all the extracted mimps were classified into either of the six previously described families, or novel (unclassified) families and plotted next to a phylogenetic tree of a subselection of the genomes (Fig. 2). The most common mimp families are families 1, 2, 3, and 4, which on average make up 86% of the total F. oxysporum mimp content. The largest mimp family identified in the two F. agapanthi isolates (type ‘09’) was not very common in the FOSC. Mimp categories in the genomes of bulb-infecting isolates Fol3, Hy9, and Hy14 showed a very similar distribution of families to that found in most F. oxysporum isolates. To investigate whether mimp elements have been subject to horizontal transfer (HT), we examined their nucleotide sequence in greater detail. In order to find out whether some of the mimps identified in F. hostae Hy9/Hy14, F. proliferatum Fol3, Fusarium sp. Na10, or either of the F. agapanthi genomes were (nearly) identical to a copy in one of the 83 F. oxysporum genomes, the sequence of each of their mimps was compared to all F. oxysporum mimps in pairwise comparisons. We found that F. hostae Hy9 has five and Hy14 six mimps that are 100% identical to copies found in F. oxysporum f. sp. vasinfectum, raphani, conglutinans, pisi, and tulipae (Fig. 3a, b). F. proliferatum Fol3, isolated from infected lily bulbs, has three mimps that are identical to a F. oxysporum copy. Interestingly, all three of these elements matched with mimps in the genomes of F. oxysporum f. sp. lilii Fol39 and F. oxysporum f. sp. gladioli G2, isolates that are also pathogenic to bulb flowers. The mimps belonging to families 2, 3, 4, 5, and category ‘09’ that were identified in the 47 genomes shown in Fig. 2 were aligned per family and visualized in a phylogenetic tree (Fig. 3). This analysis shows that several F. hostae mimps and mimps extracted from Fusarium sp. Na10, F. proliferatum Fol3, and F. nygamai MRC8546 are present in clades close to F. oxysporum elements (Fig. 3a, b), meaning that they are highly similar. Additionally, most F. agapanthi mimps (Fig. 3d) and a large number of F. hostae mimps (Fig. 3c) are relatively distantly related to F. oxysporum mimps, indicating that they might have evolved separately in these species. Several sequences with high levels of similarity to a F. oxysporum SIX effector gene were identified in Fol3, Hy9, and Hy14. Additionally FomAVR2, encoding a small secreted protein with an avirulence function in the Fo f. sp. melonis—muskmelon pathosystem, was identified in these strains (Table 1). Both SIX1 and FomAVR2 are 100% identical between F. proliferatum Fol3 and Fo f. sp. nicotianae isolates and several hits in F. hostae show a nucleotide similarity of 97% or higher. FOMG_19741 is a gene that was identified as an effector candidate in Fo f. sp. melonis based on contextual association with a mimp (Schmidt et al. 2016). The reason for including it in Table 1 is the fact that the copy found in Fol3 (isolated from Lilium sp.) is highly similar (96.7% identity) to that of Fol39, a Fo f. sp. lilii isolate. Strikingly, SIX7 was only discovered in Fo f. sp. lycopersici and Fo f. sp. lilii Fol39 as an intact ORF. A pseudogenized version of the gene was found in F. hostae Hy9/Hy14, as well as Na5 (f. sp. narcissii) and G14/G2 (f. sp. gladioli); all isolated from diseased flower bulbs. The homologs of SIX1 (in F. proliferatum Fol3) have also undergone mutations resulting in multiple stop codons in its ORFs (Fig. 4a). For the other effector homologs (SIX2, SIX6, SIX11, FomAVR2, and FOMG_19741), manual inspection showed that these were intact and potentially active ORFs. The position of F. proliferatum Fol3 SIX1 (pseudogenized, Fig. 4a) and F. hostae SIX6 (Fig. 4b) in the phylogenetic tree shows them nested within the tree of all F. oxysporum homologs. Comparison of the scaffolds on which SIX1 and FomAVR2 are located in F. proliferatum Fol3 and Fo f. sp. nicotianae 003 by nucmer (MUMmer3) alignment shows that in both cases a 2 kb region containing the ORFs is 100% identical between these strains (Fig. 5). Multiple N-gaps are present in both assemblies, indicating the presence of many repetitive, difficult to assemble sequences (potentially transposons). Nonetheless, the successfully assembled stretches of sequence between these gaps are highly conserved between the two investigated strains, with only one pairwise alignment of 340 bp having a sequence identity score of less than 100% (95.9%). In the rest of the alignments no nucleotide differences were found between Fol3 and Fonic003. This level of sequence conservation is not expected between F. oxysporum and F. proliferatum assuming vertical inheritance (average sequence identity in conserved genes between Foniv015 and Hy14 is 96.1%). Within the FOSC, SIX2 has only been identified in ff. spp. lycopersici and cubense. This gene, unlike the other 13 SIX genes, is very widespread throughout the Fusarium fujikuroi species complex (FFSC). Next to the two F. agapanthi strains, F. proliferatum Fol3, F. hostae Hy9/Hy14, and Fusarium. sp. Na10 that are mentioned in Table 1, a SIX2 homolog was also identified in F. circinatum FSP34, F. circinatum GL1327, F. fujikuroi B14, F. fujikuroi IMI58289, F. fujikuroi KSU3368, F. fujikuroi KSUX-10626, F. mangiferae MRC7560, F. temperatum CMWF389, F. verticillioides 7600, F. fujikuroi CF-295141, and another F. proliferatum strain in our dataset: NRRL62905 (Fig. 6). All open reading frames were intact. The SIX2 homologs in F. proliferatum strains Fol3 and NRRL62905 are identical. Moreover, comparison of the phylogenetic distribution of SIX2 to the core phylogeny (based on the concatenated sequence alignment of EF1alpha, RPB1, and part of RPB2) shows that these trees are largely congruent with each other. Fo f. sp. cubense II5 and B2 form a notable exception to this, since they have a SIX2 homolog that is only 69.4% identical to SIX2 in Fo f. sp. lycopersici and that clusters closer to SIX2 homologs in other Fusarium species (Fig. 6). In this study, we performed genome-wide comparative analysis of mimp elements and effector genes in the Fusarium genus. Mimps have so far only been described in F. oxysporum and are contextually associated with virulence-associated genes in this species (Schmidt et al. 2013). Within F. oxysporum, mimps occur most frequently in the accessory chromosomes of plant-pathogenic strains (Bergemann et al. 2008; Schmidt et al. 2013). Bergemann et al. found that the enrichment in Fol4287 occurs only on “pathogenicity” chromosome 14 but not on chromosomes 3 and 6, which are also considered accessory but consist mostly of large segmental duplications. In another study, Dufresne et al. (2007) demonstrated that mimp1 could be mobilized through the action of the transposase of impalaE, a Tc1-like autonomous element. By searching for the conserved inverted repeat sequences that have been described for six families of mimps in 83 F. oxysporum and 52 other Fusarium genomes, we were able to extract 2572 F. oxysporum mimps and 116 mimps from other Fusaria. The relatively high abundance within the FOSC suggests that mimps originate from within this species complex. Six other Fusarium strains drew particular attention because relatively high numbers of mimps could be identified in their genomes. All of these strains were isolated from diseased flower bulbs. Comparison of the nucleotide sequence of each mimp encountered in these strains showed that Fol3 (F. proliferatum), Hy9, and Hy14 (both F. hostae) all have three to five elements in their genome that are 100% identical to F. oxysporum mimps (Fig. 3). This, combined with the fact that they may have an intact impala ORF (Fig. 2; assemblies are interrupted by N-gap or end of contig) and intact SIX gene homologs (other than SIX2) with high sequence similarity (Table 1) suggests that these isolates participated in horizontal chromosome transfer between Fusarium species. In contrast to strains Fol3, Hy9, and Hy14 described above, the two F. agapanthi isolates (isolated from African lily in Australia and Italy) displayed a distinctly different mimp distribution. Most of the elements identified in these strains displayed long branch lengths and separate branching (Fig. 3), indicating a high level of sequence divergence from F. oxysporum mimps. Fusarium sp. Na10, isolated from Narcissus sp., only has four mimps in its genome assembly. Although this is a relatively high number for a strain belonging to the FFSC, all of the mimp sequences were different from Fo mimps. Presence of SIX genes outside of the FOSC has so far been described in Leptosphaeria maculans, which has a distant homolog of SIX1 [LmCys1, 26% amino acid identity (van de Wouw et al. 2010; Martin and Kamoun 2011)], Colletotrichum orbiculare and C. higginsianum, which have SIX1 and SIX6 homologs (Kleemann et al. 2012; Gan et al. 2013), F. verticillioides, which has a SIX2 homolog (van der Does and Rep 2007) and NRRL31046, an isolate of F. foetens that has a (partial) SIX1 homolog (Laurence et al. 2015). Interestingly, NRRL31046 was also isolated from a bulb flower, in this case from Begonia sp. displaying discoloration of veins in leaves and stems (Schroers et al. 2004). No genome sequence of this strain is currently available, and it would be interesting to further investigate the distribution of SIX genes amongst strains of F. foetens since this species also belongs to the FFSC. We now find that SIX2, apart from being present in F. verticillioides, is widely distributed amongst species in the FFSC. The phylogeny of this gene is largely congruent with the species tree indicative of vertical inheritance (Fig. 6). This is not the case, however, for most other effector genes that were identified in the analysis including SIX1, SIX6, SIX7, and FomAVR2 that seem to be largely restricted within the FOSC. The identification of FomAVR2 and a pseudogenized copy of SIX1, both 100% identical to sequences in F. oxysporum, is suggestive of horizontal transfer to or from F. proliferatum Fol3. This hypothesis is strengthened by the sequences surrounding these genes (multiple kb in length) that are also 100% identical between the strains (Fig. 6). Additionally, the placement of F. hostae Hy9/Hy14 SIX6 amongst the F. oxysporum SIX6 homologs also points at a HT event of this gene, supported by the high bootstrap values of the F. hostae clade and high sequence similarity to Fo f. sp. niveum 015/019 SIX6 (Fig. 4). Horizontal chromosome transfer (HCT) within the species complex and across species boundaries is believed to have contributed to genetic diversity and the generation of new (pathogenic) variants (Ma et al. 2013; Kang et al. 2014). This has been experimentally shown so far only between pathogenic and non-pathogenic strains of F. oxysporum (Ma et al. 2010; Vlaardingerbroek et al. 2016; van Dam et al. submitted). In these studies, the pathogenicity chromosome of Fo f. sp. lycopersici (chr 14) or Fo f. sp. radicis-cucumerinum (chrRC) was transferred into the genetic background of biocontrol strain Fo47. Fo47 belongs to a different vegetative compatibility group than either of these pathogens. The recipient strain had subsequently become pathogenic towards tomato or several cucurbit species, respectively. The proposed mechanism for HCT is nuclear fusion followed by selective loss of chromosomes from one of the fusion partners, but exactly how this happens remains elusive (Vlaardingerbroek et al. 2016). Hyphal fusion of genetically dissimilar strains normally leads to a vegetative incompatibility response followed by programmed cell death (Glass and Dementhon 2006). HT of virulence genes has been suggested for Fo f. sp. canariensis (Laurence et al. 2015) and also in strains of Fo that were isolated from natural ecosystems of Australia (Rocha et al. 2015). Interspecies HT of the virulence gene pisatin demethylase (PDA) from Nectria haematococca (the teleomorph of F. solani) to Fo f. sp. phaseoli and pisi was suggested by discordance between the gene genealogy of PDA and the organismal phylogeny (Milani et al. 2012). 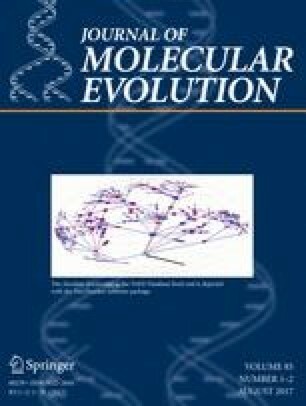 The presence of dispensable chromosomes in N. haematococca and F. oxysporum and the fact that these can move between strains in the FOSC led the authors of this study to suggest this as a potential pathway for horizontal transmission of chromosomes containing virulence genes between Fusarium species. The alternative to HT, a shared origin of all SIX genes in the ancestor of the FOSC and FFSC followed by selective loss in most of the FFSC species remains a possibility. Since SIX2 is found in multiple FFSC species as well as Fo, a shared origin at least for this gene is probable. For SIX6, SIX7, SIX11, and the Fo f. sp. melonis effector candidates, no homologs in other Fusarium species have been described until now (Schmidt et al. 2013, 2016). The compartmentalization of pathogen genomes (including that of Fo) and the concentration of effector genes on one or a few accessory chromosomes facilitates the simultaneous loss of multiple effector genes. The rate of loss of such an ancestral accessory chromosome could be high due to avirulence effects of the genes encoded on it. Still, it is hard to explain the high identity of some mimps and effector genes (and their up- and downstream regions) as the placement of non-Fo effector genes within the Fo clade under the assumption of exclusive vertical inheritance. In conclusion, we describe here for the first time data suggestive of horizontal gene transfer between different Fusarium species. HT of (part of) an accessory chromosome may have occurred under natural conditions, such as in flower bulb fields. Data supportive of this hypothesis include the presence of many mimps (sometimes identical to a Fo mimp), as well as the occurrence of SIX homologs (other than SIX2) that were not found in other Fusarium species outside of the FOSC. Whole genome sequencing with long-read sequencing technologies of the F. proliferatum and F. hostae strains described here, Fo f. sp. lilii/hyacinthi as well as F. foetens NRRL31046 would be highly interesting in order to compare their genome architectures. Mimps were identified using a custom python script (available upon request) that searches for the terminal inverted repeats using the following 16-nucleotide regular expression: ‘NNCAGT[GA][GA]G[GAT][TGC]GCAA[TAG]AA’. Stretches of sequence where an instance of this motif was found within 400 bp of another instance in reverse orientation were extracted. The list of newly identified mimps was then compared to each other through reciprocal BLASTN (e value < 1e−5, percent identity >80%, alignment length >160 nt) and clusters were formed with single linkage. This resulted in 40 clusters, of which the clusters with 10 or less mimp instances were grouped together in category ‘15’ (other). The sequences of mimp families 1–6 were extracted from Schmidt et al. (2013) and Bergemann et al. (2008) and compared to the clusters obtained from reciprocal BLAST to see which of the categories represented which family. Detection of an intact impala ORF was performed by manual evaluation of TBLASTN output (e value < 1e−100) using the full-length FOM24 impala transposase ORF (Genbank accession AF282722.1) as a query. For alignment of conserved genes, the sequences of EF1α, RPB1, and RPB2 were extracted from the genomes based on BLASTN searches, using the gene sequences of Fol4287 as query. ClustalO v1.2.1 (Sievers et al. 2014) was used to make an alignment for each gene, after which the alignments were concatenated into a single alignment. This concatenated alignment was trimmed using TrimAl (with -strictplus) (Capella-Gutierrez et al. 2009) and fed to PhyML v20120412 (with -bootstrap 100) (Guindon et al. 2009) in order to retrieve a phylogeny of the Fusarium genomes. A similar approach was taken for identification and alignment of SIX and Fo f. sp. melonis effector candidate homologs, although these alignments were not trimmed. MAFFT v6.903b (Katoh et al. 2002) was used for alignment of mimp sequences and PhyML was applied for phylogenetic inference as described above. All trees were visualized in ETE3 v3.0.0b35 (Huerta-Cepas et al. 2016). Fusarium genomic DNA was isolated through phenol–chloroform extraction from freeze-dried mycelium that was harvested from 5-day old NO3-medium (0.17% yeast nitrogen base, 3% sucrose, 100 mM KNO3) cultures as described in detail in van Dam et al. (2016). Library preparation of insert size 550 bp and Illumina HiSeq 2500 paired-end sequencing was performed at Keygene N. V. (Wageningen, the Netherlands). Sequencing reads were trimmed for quality and to remove adapter sequences with FastqMcf v1.04.676 (https://expressionanalysis.github.io/ea-utils/, quality threshold = 20). De novo assemblies were generated using CLC-workbench 8.0. Default settings were used, except ‘minimum contig length = 500’. Nucmer of the MUMmer package v3.1 (with ‘-breaklen 100’ to break alignments separated by N-gaps resulting from contig scaffolding) was used for visualization of scaffold alignments. Whole-Genome Shotgun projects for the newly sequenced strains of F. hostae Hy9, Hy14, F. proliferatum Fol3, and Fusarium sp. Na10 have been deposited at Genbank under the BioProject PRJNA389502. Raw sequence data have been deposited into the Sequence Read Archive under the accession number SRP109077. All publically available genome sequences that were used were obtained from Genbank. Their NCBI accession numbers can be found in Supplementary Table S1. We would like to thank Joop van Doorn and Suzanne Breeuwsma for kindly sharing the isolates from diseased flower bulbs with us. This work was supported by the Horizon programme (Project 93512007) of the Netherlands Genomics Initiative (NGI) through a grant to M. Rep. This study was supported by the Horizon programme (Project 93512007) of the Netherlands Genomics Initiative (NGI) through a grant to M. Rep.